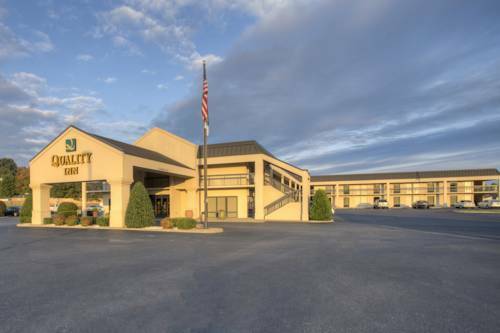 Enjoy a real value on the road when you stay at our Quality Inn hotel in Paris, TN, conveniently located near Memorial Park, Paris Winery and the Krider Performing Arts Center. Our hotel offers each guest a free breakfast, free WiFi, seasonal outdoor pool and a free weekday newspaper. Unwind in one of our guest rooms, all of which come equipped with a refrigerator, microwave and coffee maker. Sign up for our Choice Privileges program and start earning reward points that can lead to free nights at our hotels.